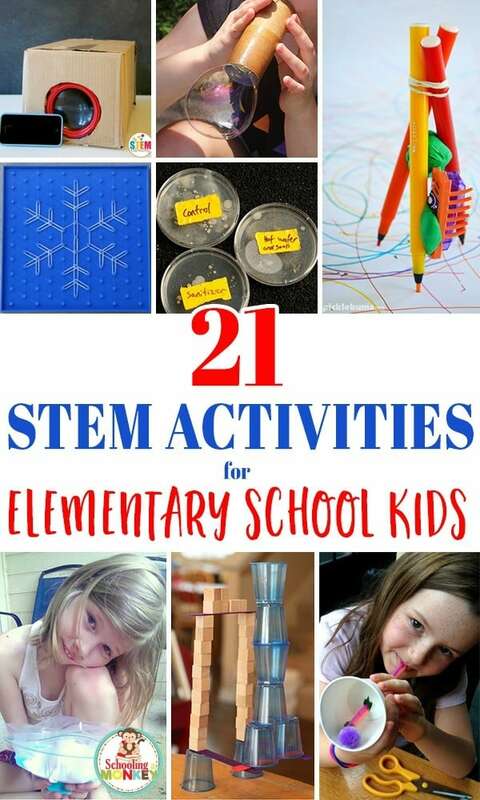 Check out these 21 STEM activities for elementary aged kids. The activities will challenge and engage your elementary school aged kids and help them fall in love with the STEM subjects. STEM is a cool approach to teaching and learning the subjects of Science, Technology, Engineering, and Math. STEM activities use all of these subjects together to solve real-world problems and that is what I thought was cool about the whole idea. STEM is just practical in homeschooling and these ideas will help you see why. Click here for 21 STEM activities for elementary school aged kids from www.schoolingamonkey.com.